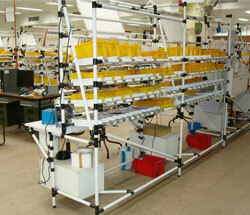 Lean workstations are different from traditional workstations. Value-adding operator’s perspective is the key. Focus area while designing Lean workstations. applications address the inefficiency created by unnecessary movement. By bringing components and accessories within the immediate reach of operators, These workstations optimize actions and movements, leaving operators free to focus on the creation of value. 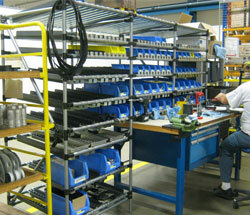 Our workstations let you modify height, size and material presentation to fit your manufacturing needs.